I am interested in studying the evolutionary processes that originated the current distribution patterns of tropical reptiles and amphibians, highlighting its inherent importance for conservation purposes. I intend to use genomic, ecological, and geographic data to investigate the existence of genetic flux among populations in contact zones existing between different phytophysiognomies. de Mello, Pietro L.H., Nogueira, Cristiano C., Machado, Ricardo B. 2015. Conserving Biogeography: Habitat Loss and Vicariant Patterns in Endemic Squamates of the Cerrado Hotspot. PLoS ONE, 10(8): e0133995. CNPq’s (Conselho Nacional de Desenvolvimento Científico e Tecnológico – National Council for Scientific and Technological Development) PIBIC (Programa Institucional de Bolsas de Iniciação Científica – Institutional Program for Scientifica Initiation Scholarships) (June 2009 – December 2009). CAPES (Coordenação de Aperfeiçoamento de Pessoal de Nível Superior – Higher Education Personnel Improvement Coordination) Master’s Degree Scholarship (March 2012 – February 2014). Associate Professor (2014-2015). Universidade Paulista (UNIP), Brasília, Brazil. Teaching: Biogeography and ecology. 2014. Speaker. Herpetology – Past, Present and Future. 1ª Semana Acadêmica de Ciências Biológicas, Universidade Paulista. 2014. Oral Presentation: Extinction risk and conservation of endemic squamates in the Cerrado savanna, a highly threatened biodiversity hotspot. Joint Meeting of Ichthyologists and Herpetologists, Chattanooga, U.S.A. (Mello, P.L.H., Machado, R.B. & Nogueira, C., to be presented by P.L.H. Mello). 2014. Oral Presentation: Conservation biogeography: Habitat loss and vicariant patterns in endemic Squamates of the Cerrado hotspot. 51st Annual Meeting of the Association for Tropical Biology and Conservation, Cairn, Australia (Mello, P.L.H., Machado, R.B. & Nogueira, C., to be presented by P.L.H. Mello). 2013. Speaker. Basick Notions in SDM (Species Distribution Models). XII Semana da Biologia (SEMABIO), Universidade de Brasília. 2013. Poster Presentation: Uso de espaço pro Dendropsophus jimi (Anura: Hylidae) em uma área urbana. VI Congresso Brasileiro de Herpetologia, Salvador, BA, Brasil (Mellho, P.L.H. & Falcon, G.B., apresentado por P.L.H. Mello). 2013. Poster Presentation: Comunidades de anfíbios em ambientes lênticos e lóticos na Fazenda Tanguro, Querência, MT. XI Congresso Brasileiro e I Congresso Internacional de Ecologia, Porto Seguro, BA, Brasil (Mello, P.L.H. & F.A. Brito, apresentado por P.L.H. Mello). 2013. Poster Presentation: Efeito de agrupamento social em estratégias de forrageamento de Vanellus chilensis. Sympósio de Ecologia da UnB, Brasília, DF, Brasil. (Maia, M.R., Gering, A.L.M.C., Mello, P.L.H., Ribeiro, G.F.O.D, Almeida, R. & Macedo, R.H., apresentado por M.R. Maia). Approximately 1 month at the Crato Plateau, Ceará State, Brazil, an enclave of Cerrado in the Brazilian Caatinga. I went to this expedition as a member of the Herpetological Collection of the University of Brasilia, Brazil. Approximately 1 month at the Bananal Island, Tocantins State, Brazil, the biggest fluvial island in the world, dominated by a mosaic of phytofisiognomies of the South American Cerrado. I went to this expedition as a member of the Herpetological Collection of the University of Brasilia, Brazil. Approximately 1 month at Querência, Mato Grosso State, Brazil, a county located at the ecotone in between the Amazon Forest and the Brazilian Cerrado. 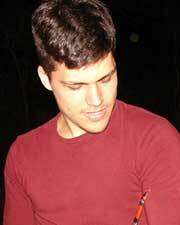 I went to this expedition as a member of the Herpetological Collection of the University of Brasilia. Approximately 1 month at Ribeirão Cascalheira, Mato Grosso State, Brazil, a county located at the ecotone in between the Amazon Forest and the Brazilian Cerrado. I went to this expedition as a member of the Herpetological Collection of the University of Brasilia and as a Graduate Teaching Assistant of the Methods in Field Ecolgy class.